Hōkūnui believes in regenerative agriculture. 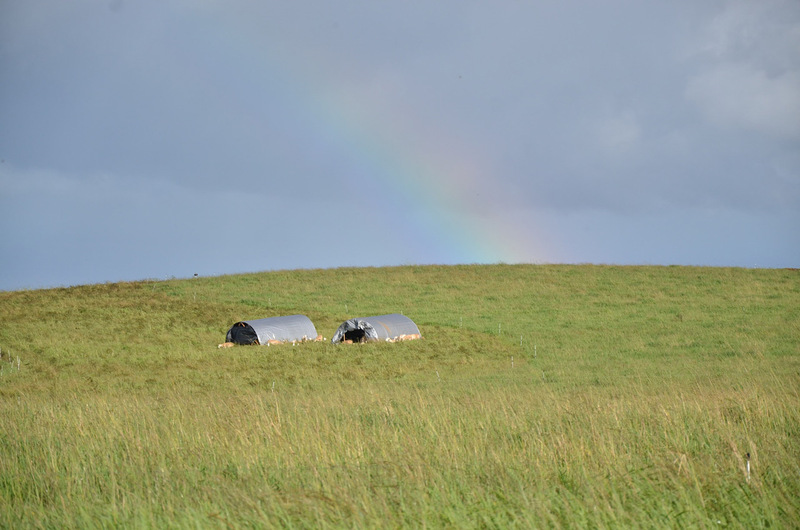 Regenerative agricultural practices contribute to building soil fertility, improving water use, increasing biodiversity and ecosystem health and sequestering CO2. Specific practices include: use of keyline plowing, naturally fertilizing pastures using animal manures and rotational grazing. 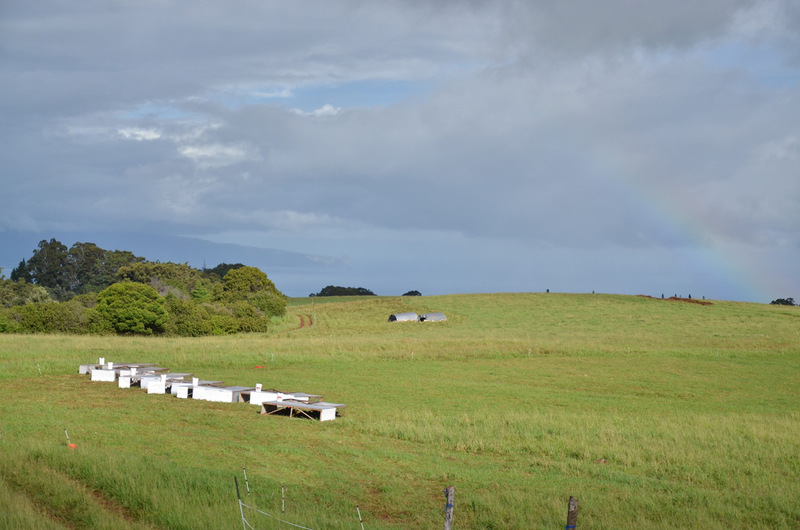 This regenerative cycle improves the environment, enhances the financial viability of the farm and provides healthy food for our community. 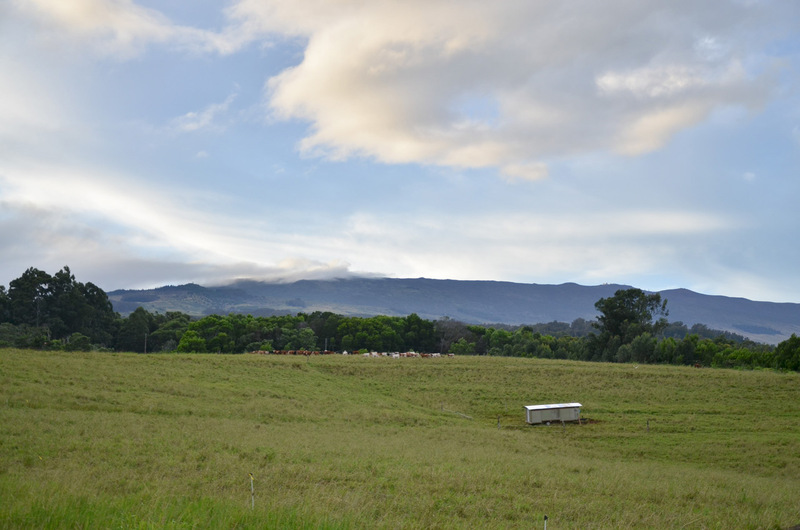 Hōkūnui is working towards becoming a pasture-to-plate operation, providing high quality beef and lamb to the Makawao Steak House and direct to the community. We have chosen the white Dorper breed as the Hōkūnui sheep family. The Dorper was developed in South Africa during the 1930s by crossing the Dorset ram to the Black Headed Persian ewe, which was indigenous to Africa. Dorpers were imported into North America in the mid 1990s. Our 7 registered ewes and 5 rams were selected for breeding stock along with 97 commercial ewes to establish the base of our breeding program. This breed was chosen for their hardiness, year-round breeding and high twinning rates, shedding ability and mild tasting meat. Most consider Dorpers to have the best tasting meat and are highly sought after by chefs at high end restaurants. 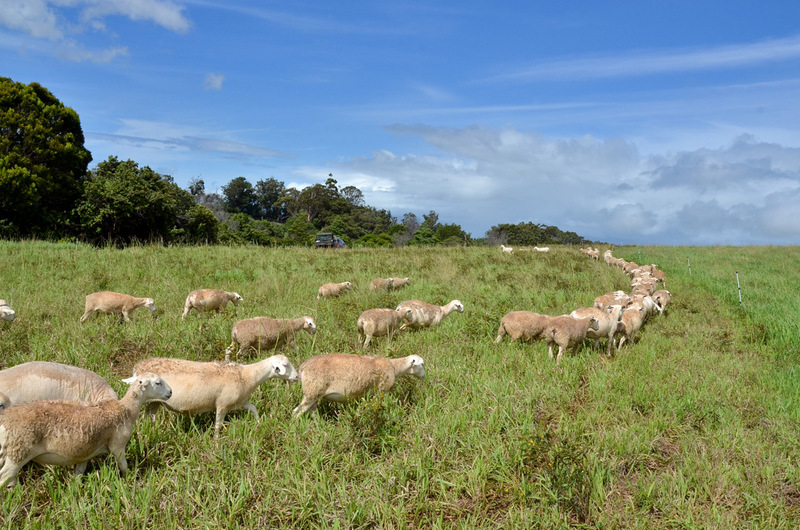 Our pasture-raised sheep follow the cattle, grazing on different plant species. They also add odorless fertilizer to the fields as they rotate. 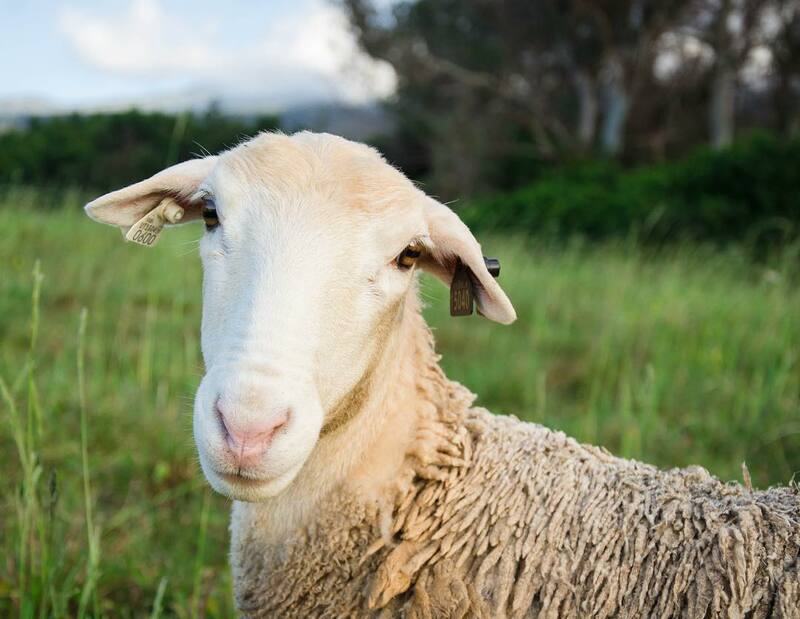 We are in the process of pursuing organic certification for our delicious, fresh lamb. 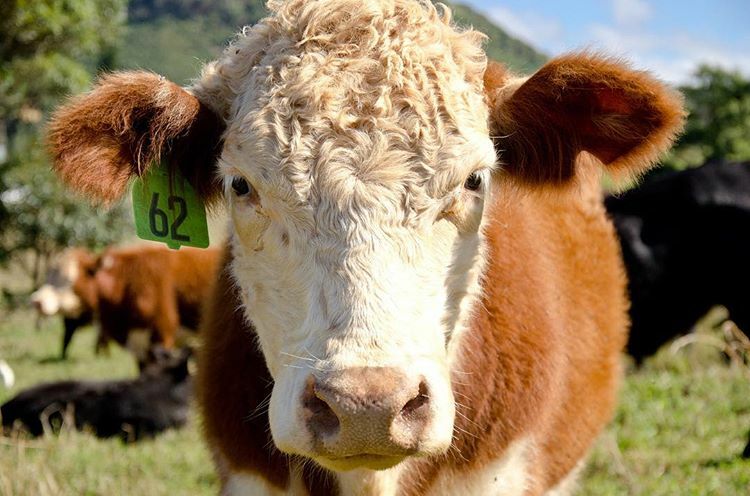 Our primary regenerative ranching practice is ‘non-selective rotational grazing.’ This means that our cattle and sheep are moved to fresh pasture multiple times in a day and that they complete a full rotation of the property in about 30 days. Non-selective grazing means that the animals eat all the grass in a pasture before they move, as opposed to picking out the best grass. The expected results of non-selective rotational grazing are: Fertilizing the pastures with manure and allowing them to recover before the next grazing cycle maximizes forage nutrition and stimulates root growth; Promotion of the growth of “high octane” forage, and; Reduction in the cost of mowing, plowing and seeding the pastures. 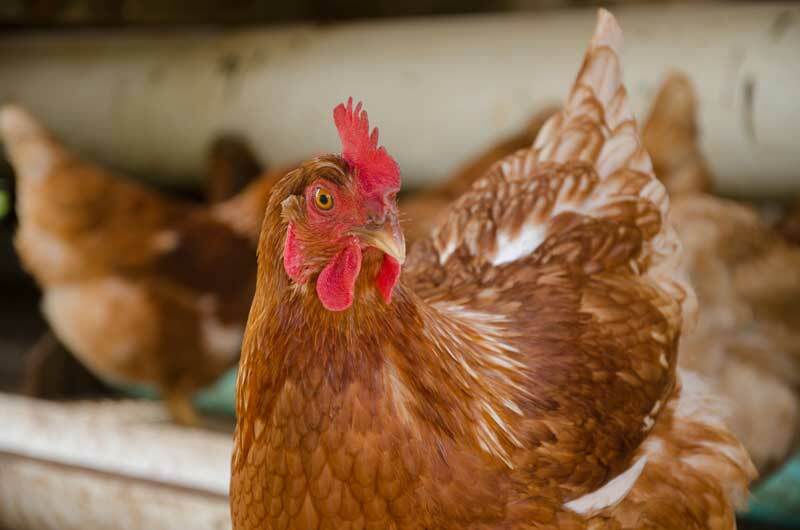 Hōkūnui was previously raising Red Stars and Australorp hens, which are hearty, dual-purpose breeds that were specifically selected for their strong foraging traits in addition to being dependable layers. We used them to follow the cattle in a rotational grazing style to purify the pasture of unwanted pests to insure the health of livestock and to add fertilizer to the fields as they travel. 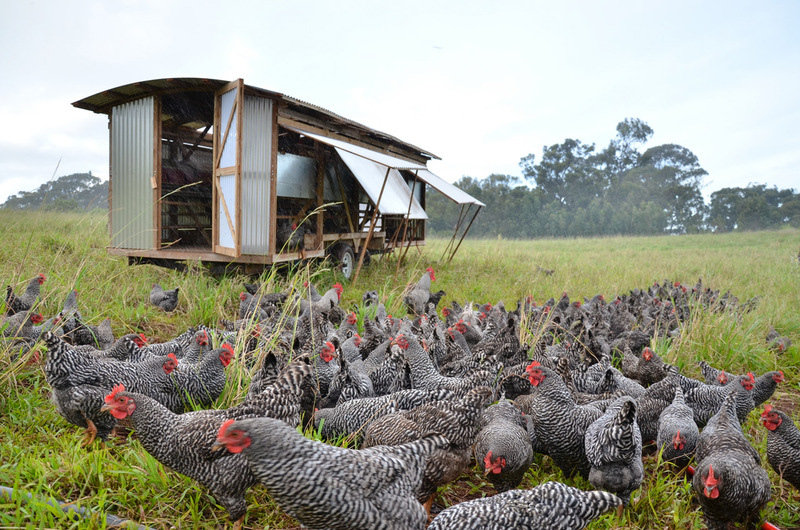 In 2017, we temporarily ceased our chicken and egg operation in order to focus on the carrying capacity of our pastures for cattle and sheep and our farm infrastructure. We anticipate reintroducing them into the system later in 2018.